Are you stuck in a mid-life crisis and want to get away from the bitterness of the situation? Then trekking to the top of Machu Picchu might just be the right option for you! Nestled atop the Urubamba Valley, Machu Picchu is a scenic tour site in Peru. It has been labelled as a World Heritage Site by UNESCO, and is rightly one of the seven new wonders of the world. The plush terraced fields, the Temple of the Sun and the spectacular view overlooking the Sacred Valley, are sure to get you pumped up and to catch the next flight available to Peru! 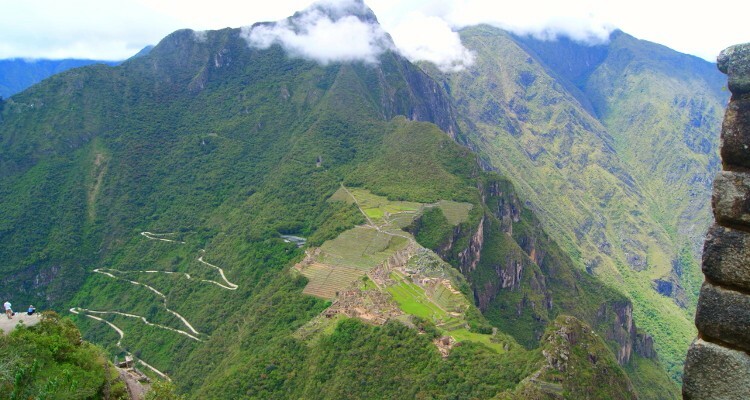 If you have decided to take wing and land in Peru to explore Machu Picchu, the historical land of the mystic Inca Civilization, then it is highly likely that you will need to get your Machu Picchu mountain tickets well before you make the actual journey. The most important and crucial part of planning the journey is to inquire about the Machu Picchu ticket availability, and after then, getting your hands on one! The entire process of availing tickets, combined with the change in official schedule of sight- seeing, might be enough for some people to lose interest in the journey. However, we have compiled together a brief guide on how to acquire Machu Picchu mountain tickets according to the new schedule of 2017! What is the New Schedule for Machu Picchu Mountain Tickets? The new official schedule will be put to action after the 1st of July. Trekkers who purchase a ticket after the 1st of July, will only be allowed a half day visit. Half a day of sight-seeing seems to be a bit of a turn off, but here’s the catch: You can also book for two consecutive tour shifts to experience Machu Picchu! Of course, you will need to pay for each shift, but it will be worth it! You can opt for the second shift that would run from 12 to 5.30pm in the evening. Whichever shift works best for you, go ahead and get your Machu Picchu mountain tickets booked for it! What Will be the New Costs for a Machu Picchu Mountain Ticket? The Machu Picchu ticket costs from 1st July, 2017 have been increased to 152 Soles, which is equivalent to around $47 USD. 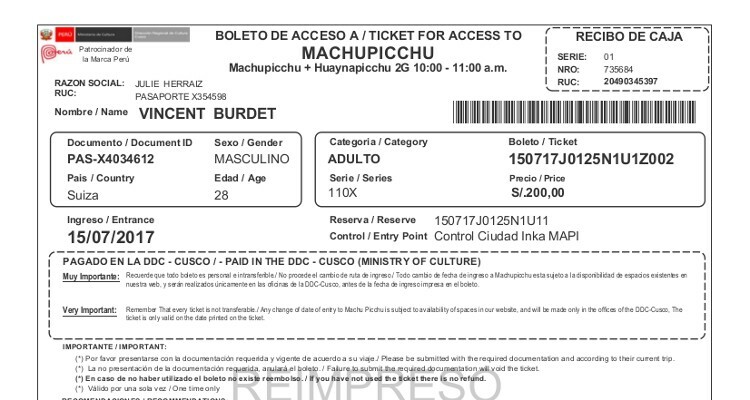 Previously, the Machu Picchu ticket price was listed at 100 soles or $40 USD for a single adult. Children, students and locals can avail discounts by displaying the required documents while booking the tickets. Where Can I Purchase These Tickets From? 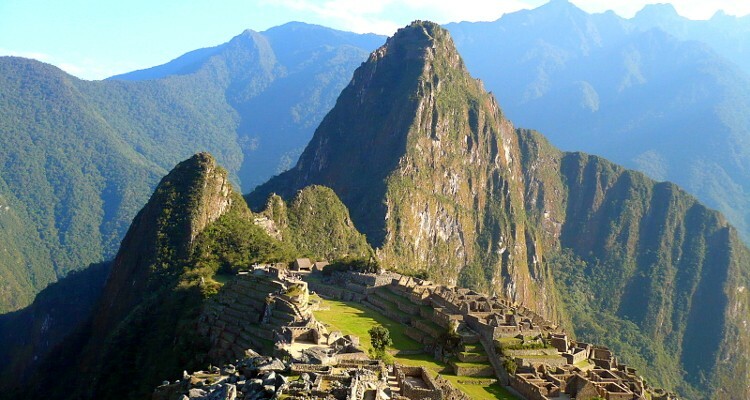 The most important thing is to get your tickets, before you reach the Machu Picchu mountains. This is step is crucial because there is no office located at the mountain base to issue you the Machu Picchu mountain tickets! However, you can arrange for the tickets by inquiring about Machu Picchu ticket availability, in either of the following four ways. You can connect to the internet and purchase Machu Picchu tickets online from the Peruvian governments website. When you land in Lima, or any other city, you can make the payments for your online ticket, by paying at any local bank. If you are a student, then you can purchase your Machu Picchu mountain ticket from Instituto Nacional de cultura during your stay at Cuzco, and avail student discount on it! Contact a genuine travel agency in Peru and ask them to arrange Machu Picchu mountain tickets for you. Hand them the required information and leave it to them to arrange a smooth Machu Picchu tour for you! 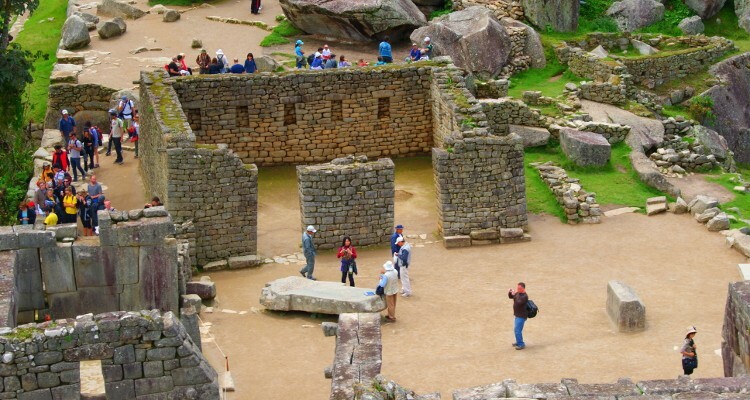 The tour timings and ticket costs have been hiked up to ensure that each tourist gets to experience the best of Machu Picchu, and also to protect the ruins of the ancient Inca Citadel.